From conception to final installation & commisioning Sangre Group of Companies can help with all aspects of design Including in house manufacture & installation to suit your requirements. 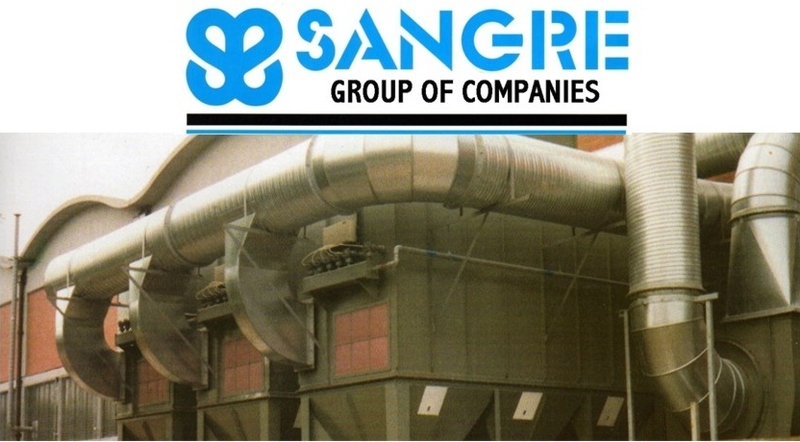 From your initial concepts Sangre can help with the Consultancy , Design and Manufacture & Implementation enabling your equipment to be used efficiently & safely We can help with all aspects of your health & safety requirements including dust and fume removal with our extensive range of in house dust & fume extraction equipment which can be incorperated into our/your design of platform. we can also manufacture any conveyance equipment tailored to your specific needs. Sangre founded in 1973 has over 35 years experience in design/manufacture and installation of all types of platforms and lifting frames to suit customer requirements complete with required handrails,pallet loaders, staircases and access ladders to suit all your H.S.E requirements including safety guarding if required. We Design & manufacture food industry standard stainless steel hoppers filling points & breeches pieces. We offer a complete range of dust and fume extraction equipment,also individual specialist manufacture of equipment to suit restricted spaces & applications. Sangre are a uk based group of companies that specialise in the design and manufacture of bespoke engineering solutions, in a wide range of fields from food production to all types of finishing industry equipment,from the design stage through to installation & commissioning of special projects and a complete range of dust and fume extraction systems. Food industry standard frames & stainless steel fabrications test rigs & frames can be built using modular design for ease of transportation & installation . General Food industry standard workstations ,chutes,breeches pieces. Platforms & stainless products brochure is in Adobe Portable Document Format (pdf), you can download Adobe Acrobat Reader X10 for free from the Adobe website.